When someone mentions the words “musical prodigy,” Mozart is the name that inevitably springs to mind. Here is a musician who invented a system of musical notation for himself at the age of 3 and by the age of 6 could play any score on the violin even though he’d never had a lesson. During a rehearsal with his father Leopold, an expert violinist, Mozart sight-read the score for second violin in a trio by Wenzl, a now forgotten composer. One of those present wrote in a letter that although Mozart used unconventional and rather awkward positions, he succeeded in playing six trios without stopping — an undeniable feat! Of course, Mozart wasn’t the only musical prodigy. Think of Bach and his sons, Alessandro Scarlatti (Bach’s contemporary), Clementi, Bertini, Liszt, Rossini, and Paganini. Today there are many young classical stars performing on the piano or violin. Some choose less traditional instruments. Felix Hell is one of these. His parents were less enthusiastic. It isn’t every day that an 8-year-old has an organ on his wish list. Leo Kraemer, a family friend and organist at the Speyer cathedral, suggested that the family have a look at a “small” organ in a town not far from their home. Felix couldn’t wait, and the next day dragged them off to inspect the organ. 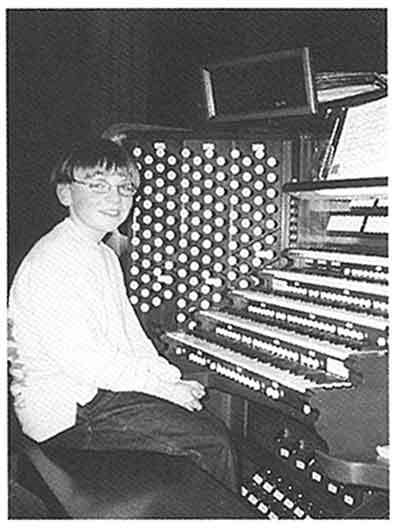 He’s never stopped playing the organ since, moving from that fairly modest first instrument to majestic organs the world over. 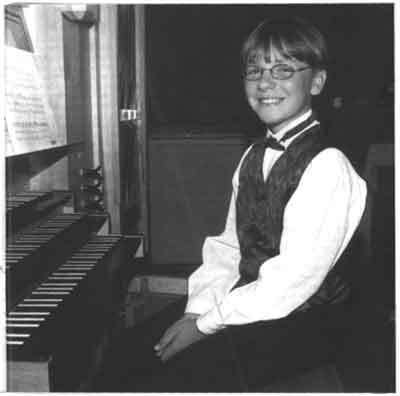 A few months later Felix entered the Jugend musiziert, a competition for young musicians, and won the top two organ prizes. (In the same year he also gave his first international recital at the main hall of Russia’s Saratov Conservatory.) In 1996 he won two firsts in the same competition (piano this time). 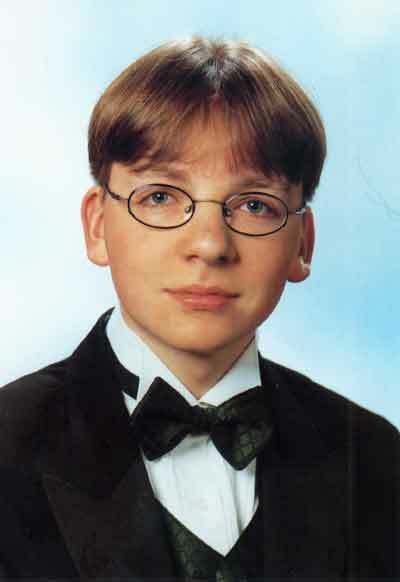 In 1997 he again made off with the top two organ prizes, and in 1999 garnered the two first piano prizes a further time. When away on tour, Felix sends his homework by email. Most often he travels alone, by train or plane, but five times a year his father visits him. Mr. Hell is Felix’s agent, dealing with media relations and concert schedules as well as managing his son’s website. Felix isn’t chained to his organ or piano, however. Like most teenagers he’s fond of sports. He often gets around town on his inline skates, and loves mountain biking, walking, and climbing. He watches baseball and American football on TV. In Germany he never misses a soccer match. And he relaxes at the keyboard (the computer keyboard this time), playing video games and “chatting” with friends on the Net. Felix has very definite views about teenagers who are reluctant to go to classical concerts. “Kids shouldn’t say they don’t like classical music if they’ve never listened to it! They should give it a chance! I recall one concert I gave in Washington. I was staying with friends in Maryland and I wanted them to come to listen to my recital. They told me, ‘No, it’s boring, we don’t like it!’ I convinced them to come. In the end, they liked it. It was very exciting for me and motivating. Performers should take more care about communicating with audiences. Any music can be boring or thrilling. The direct connection with your audience, that’s the key.” The key to his success, in any case. Audiences may first come to hear the virtuoso out of curiosity, but they generally leave convinced of the beauty of the music. Felix may be a normal teenager in some respects, but he has character traits that make him special. Mr. Hell describes his son’s personality as follows: “He needs a goal. He needs the summit. Hiking for hours at the same altitude is definitely not his thing. One might think it is difficult to live with a prodigy. But he is so easy-going and such a normal kid that we sometimes think this is the real miracle, and not his enormous musical talent.” Father knows best!